Amazing Kids Parties in Perth. 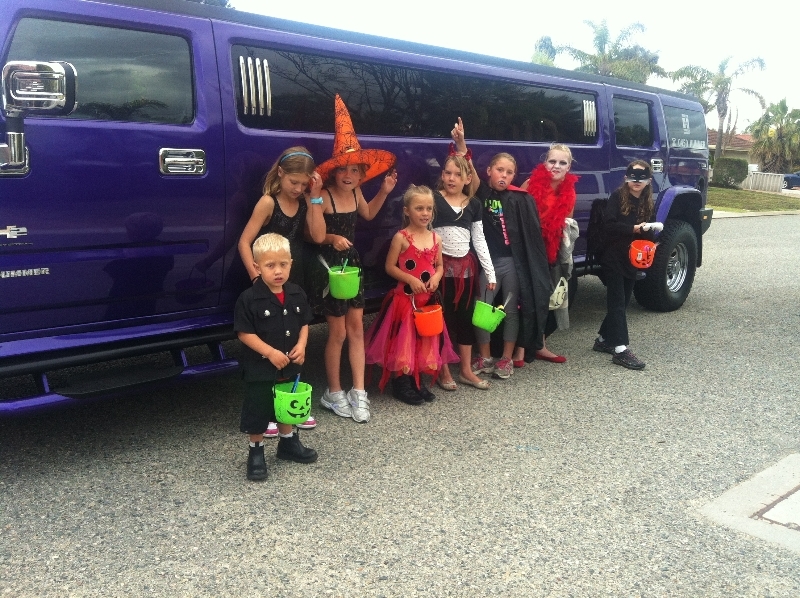 Perth Stretch Hummers are based here in Perth and offer amazing kids parties in their 14 seat Stretch Hummers. 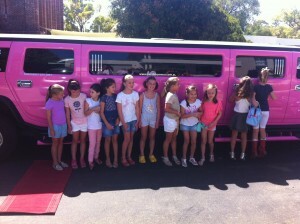 If you are finding it hard to know what to do for your Childs birthday look no further than a Hummer limo party. We come to your home, or wherever your would like and after we have rolled out the Red carpet and done a few photos we set off in the Hummer for an hour long cruise of Perth. Complimentary Lollies, chips and soft drinks are provided so that the kids can enjoy some snacks on their cruise. Depending in which suburb you are in we can head to the city, Kings Park or the beach. The kids never mind where they are as. They just love being in the Hummer. 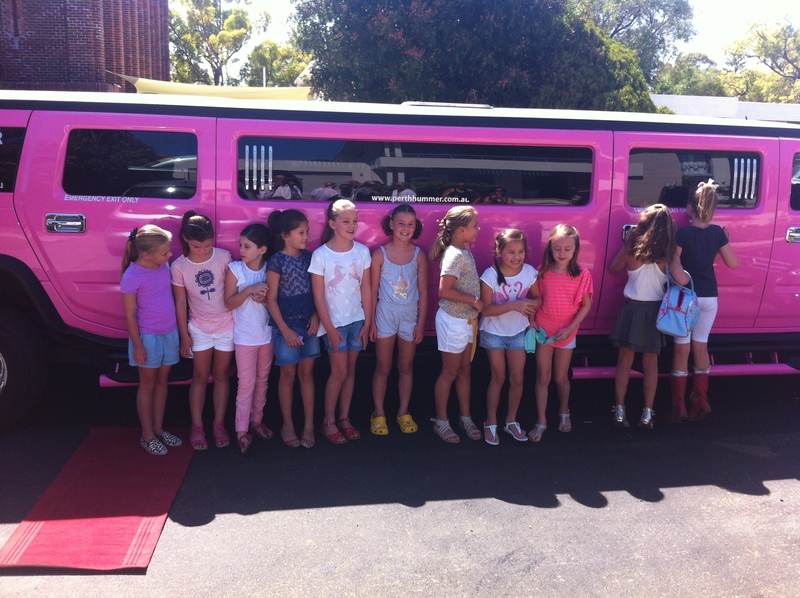 Amazing kids parties is the aim for all childrens parties and we believe live up to that promise Head over to the Perth Hummer website and see the testimonials we have had from happy children and parents. Q Does a Parent have to go with the kids on the Amazing Party? A Yes for all children 16 oer under.The adult can be anyone over 18 so a big sister or cousin will be great. Q. Can we do longer than an hour? A Yes we often do an hour and a half or even 2 hours. Give us a call to find out more 0437 546642. Q Do you do Weekdays or Sundays? A Yes we do kids Amazing Parties 7 Days a week. Q Can we have more than 1 adult? A Yes you can make up the 14 in any combination of children or adults that you would like. If you have any other questions please do not hesitate to give us a call on 0437 546642 up to 9pm any evening. I know it is very difficult , and downright stressful organising a birthday party for children. You need to get everything right otherwise it could spell disaster. You have done the bowling, skating, cinema, animals in the backyard so what else is there. 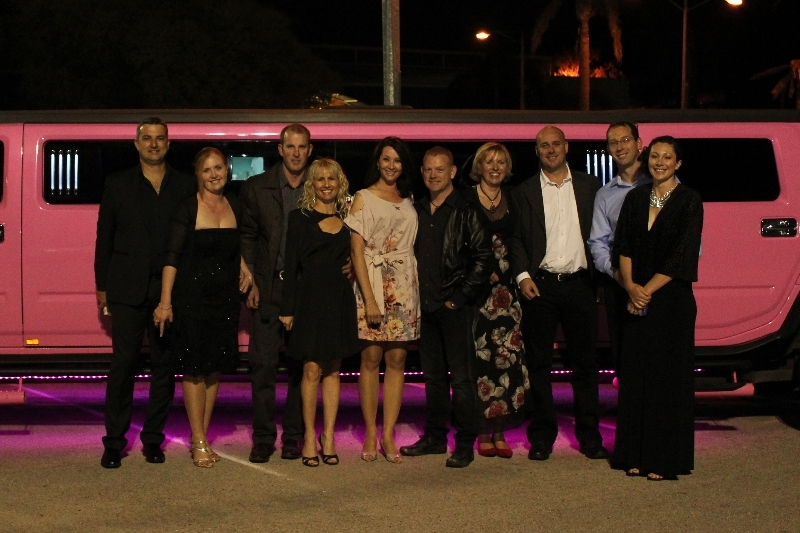 Well if you were watching TV recently you will have seen that Hummer limo parties are the new “in thing” in Perth and they are becoming more and more popular. 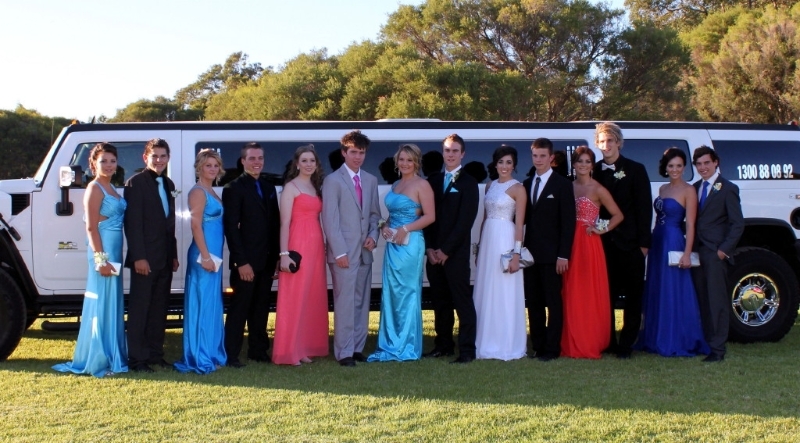 Perth Stretch Hummers have been at the forefront of childrens limo parties for the last 10 years and in that time have built up a fantastic reputation for providing exactly what is needed for the ultimate experience. 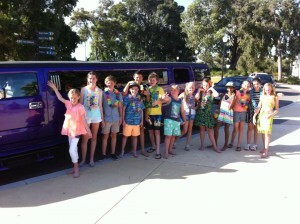 From rolling out the red carpet when we arrive the kids in Perth just love the whole Hummer experience. 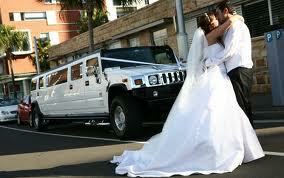 We come to your house, or wherever you would like, and as the Hummer rolls up, you cannot fail to be impressed. 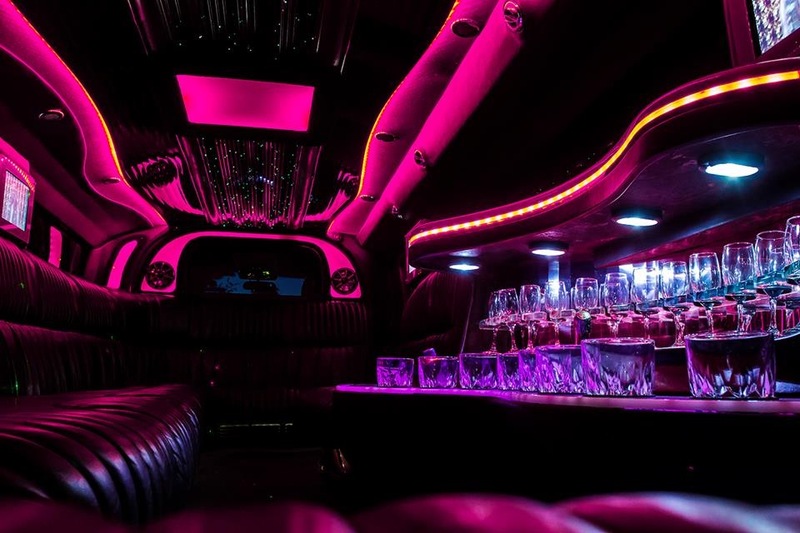 Once inside the Hummer the kids are met with flashing lights and lasers, just like a mini nightclub. The latest child friendly music videos are playing on the multiple tv screens and they will find soft drinks on ice, water along with both lollies and chips. 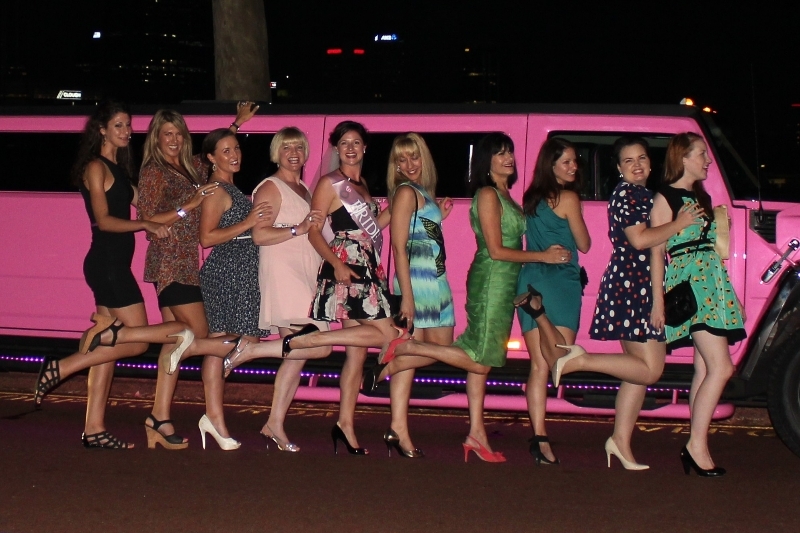 Once settled inside the Hummer, (seat belts are provided for everyone), the Hummer sets off and depending where you live we can either go to The City, Kings Park, Hillarys Boat Harbour or just about anywhere that the time allows. With a variety of music videos and the favourite Singstar Karaoke the kids are kept well amused on their tour. With 2 microphones the karaoke is a perennial favourite and each of the Hummers have a lot of songs even the smallest children will know and be able to sing along with. The Purple Hummer is a WA exclusive and is an amazing colour, like a huge bar of dairy milk wafting along the road. With 3 TV screens, lasers , smoke machine, starlight ceiling, 5th door, Karoake and bar this is suitable for boys, girls and Fremantle Dockers fans. 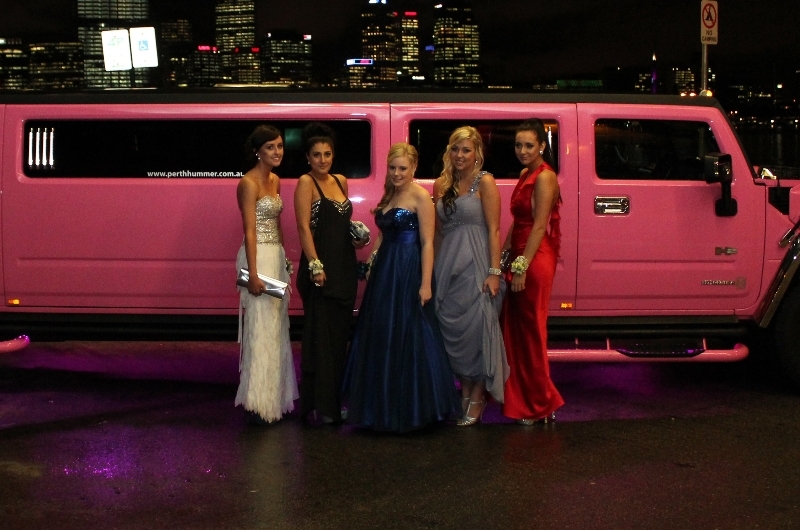 The Pink Hummer is the girls fave rave! with all the features including smoke machine lasers, starlight ceiling, karaoke, multiple tv screens a stocked bar with soft drinks this is the pinkiest pink in Perth. Inviting both boys and girls or just boys this is the Hummer that really stands out in Perth, White is right for multiple tv screens, bar stocked with ice and drinks, smoke machine lasers and a special VIP area. Perth Stretch Hummers operate their childrens parties from Mandurah to Yanchep and all points in-between. It is a door to door service and can pick up from home, school, cinema, restaurant and after the hours cruise got to whichever address you choose. We operate the parties 7 days a week from morning until night time. Just pick the time that suits you best and leave the rest to us. All drivers have working with children certificates. Q How many people do the Hummers sit? Q Does a parent have to go with the children? Q Do you do return Packages? A Yes we do, We can drop at say the cinema and pick up after the fil has finished, just give us a call for a n individual quote. A Yes we are, we have all the licences and insurance required under both state and federal laws to operate the business. A Yes a booking fee is required to secure the booking, this amount then gets subtracted from the balance. Q How Old do the children have to be?